This lightweight, easy one-handed opening knife will feel like a natural extension of your hand. 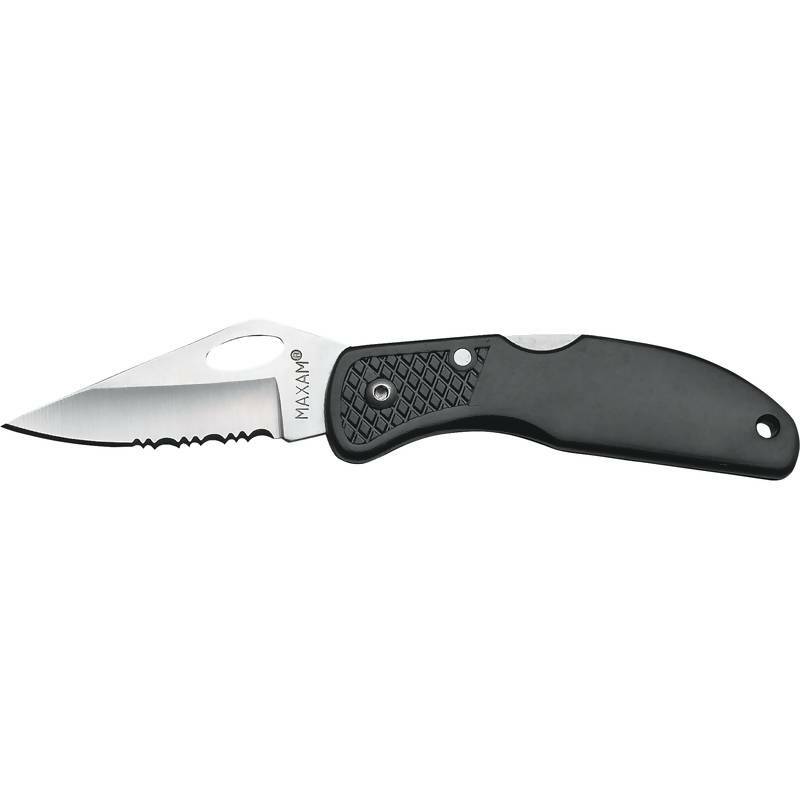 The half-serrated blade is 420 stainless steel and the handle is lightweight Leymar™. The knife measures 4" closed and 6-7/8" open. Includes a stainless steel clip. Flat area on handle great for pad printing corporate logos. Limited lifetime warranty. Gift boxed.